In the bleak mid-winter, frosty winds are definitely moaning, earth’s hard as iron and my pipes froze last week. Yes, it’s wintertime in North West England and summer seems a long way off. 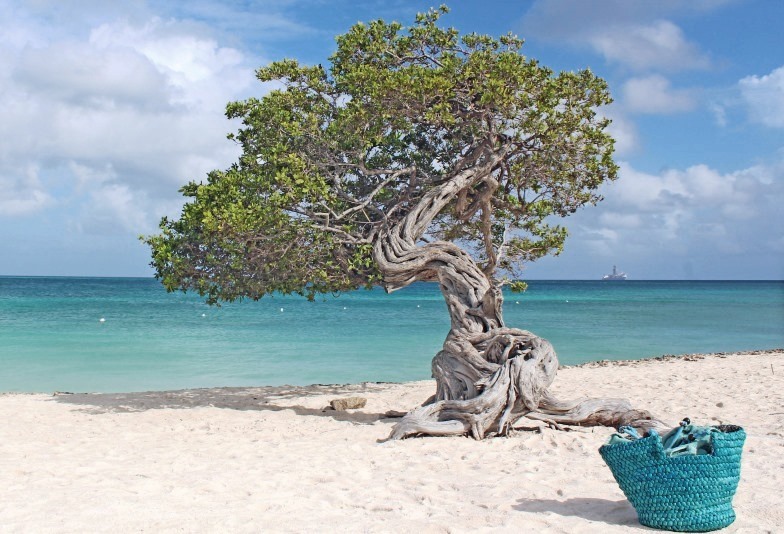 So here’s a photo of the quirky divi-divi tree on beautiful Eagle Beach on the Aruba in the Caribbean, to brighten your day. 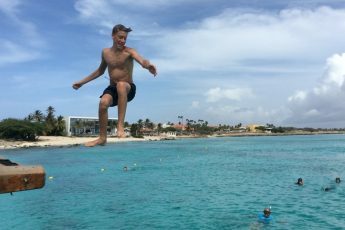 This is one of my favourite photos from a holiday on Aruba which produced a number of classic winter sun photos. 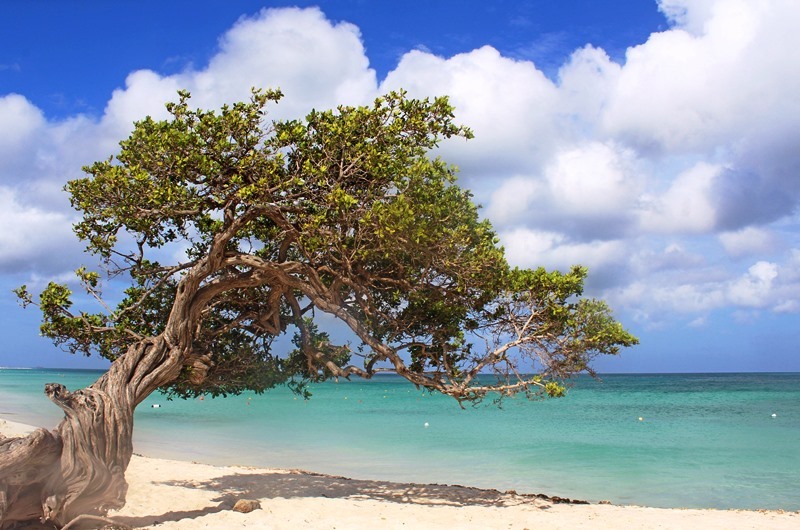 The sinuously bent branches of the Divi-divi tree add texture and the green leaves contrast beautifully with the blue of the ocean and silver sand. 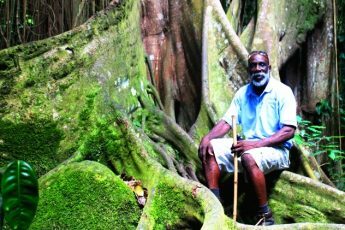 A short while before, there’d been one of those short, sharp Caribbean rainstorms that clear the air; the swirling clouds are drifting away and in a few minutes’ time the skies will be totally clear. I’d plonked my beach bag next to the tree to take the photo and then decided to include it in the photo. It nicely complements the turquoise colours of the sea and adds a focal point for the photo. There are a couple of these trees on Eagle Beach. They both lean over the water and have gnarled bark that adds a picturesque element to the image. 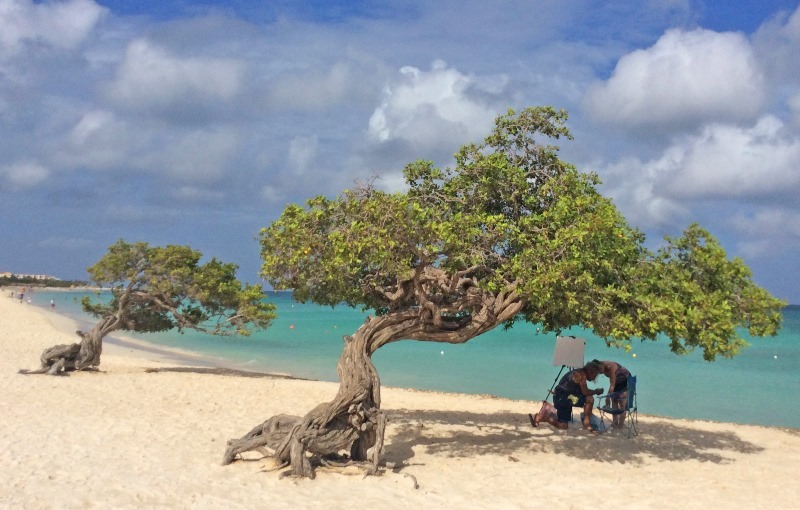 This beach is very popular with visitors to Aruba and also for wedding photographs; you can see why. I can’t make my mind up which tree I prefer but I definitely prefer the top photo with the basket. What do you think?